"We have a suspect - a crime writer…" "I think the book is your confession." 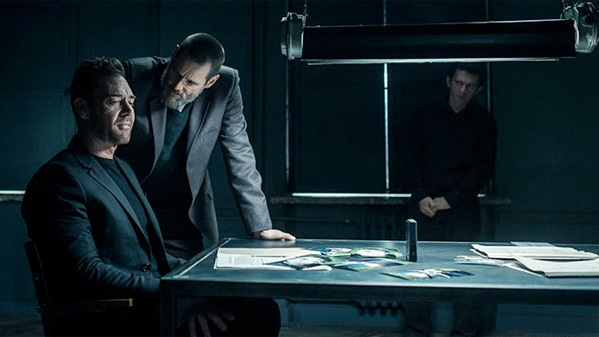 Saban Films has released an official trailer for a dark crime thriller titled, of course, Dark Crimes. The title is a variation of the title for the original article this is based on in the New Yorker, called "True Crime", subtitle "A postmodern murder mystery." 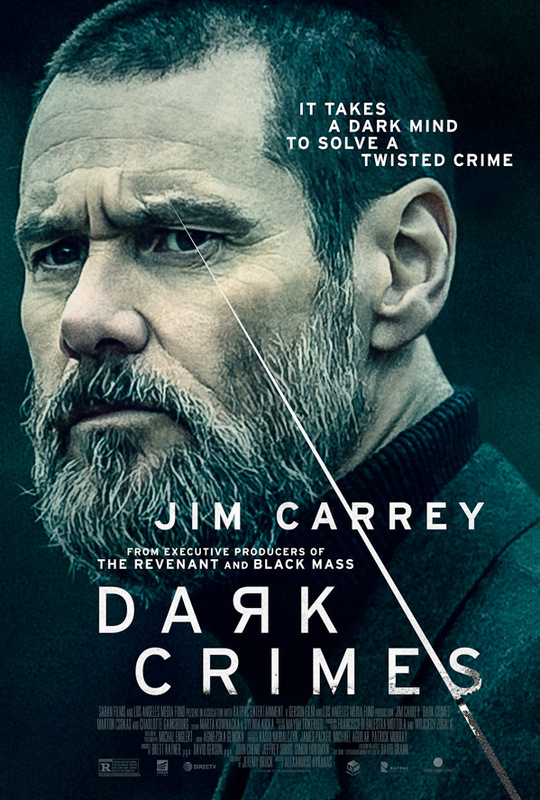 Dark Crimes stars Jim Carrey as a detective who gets involved in a case where a Polish author killed someone in real life the same way as in one of the fictional crime novels he wrote. Marton Csokas plays the author, and the cast includes Charlotte Gainsbourg, Kati Outinen, Vlad Ivanov, Agata Kulesza, Robert Wieckiewicz, and Piotr Glowacki. This loos quite dark and mysterious, but also quite good, I'm intrigued. Especially by Carrey's fierce, bearded performance in this. I really want to check it out. Jim Carrey stars as a police officer who reopens a notorious cold case and makes a shocking discovery in this thriller based on the true story of Polish author Krystian Bala, who was convicted of committing a real-life murder based on a similar crime detailed in one of his fictional novels. Based on David Grann's 2008 article "True Crimes" in the New Yorker. Dark Crimes is directed by Greek filmmaker Alexandros Avranas, of the films Without, Miss Violence, and Love Me Not released last year. The screenplay is written by Jeremy Brock. The film first premiered at the Warsaw Film Festival back in 2016, but has been waiting for a release. Saban Films will open Dark Crimes in select theaters starting May 11th, 2018 this summer.